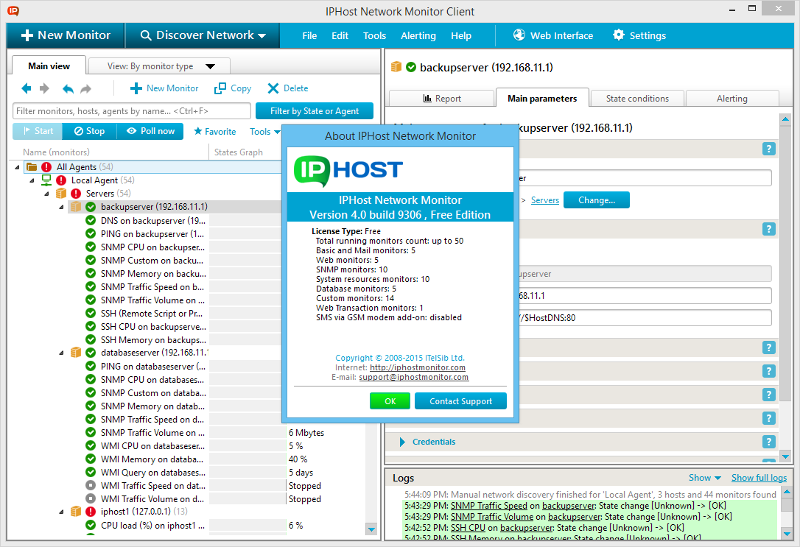 Recent Changes: IPHost Network Monitor creates now fast backup of monitoring configuration, so user can restore monitoring configuration only, without monitoring results. Improved performance and reduced monitoring database size, that allows to monitor more resources using the same hardware. Other improvements.